Since our inception in the year 1992, "Soham Industrial Diamonds" an ISO 9001: 2008 certified company is engaged in manufacturing, supplying and exporting a superior range of Diamond and Diamond Powder includes RVD Synthetic Diamond Powder, Synthetic Diamond Powder, Synthetic Diamond Micron Powder, Natural Diamond Powder, Natural Diamond Micron Powder, Synthetic Natural Diamond Powder, Natural Micron Diamond Powders. 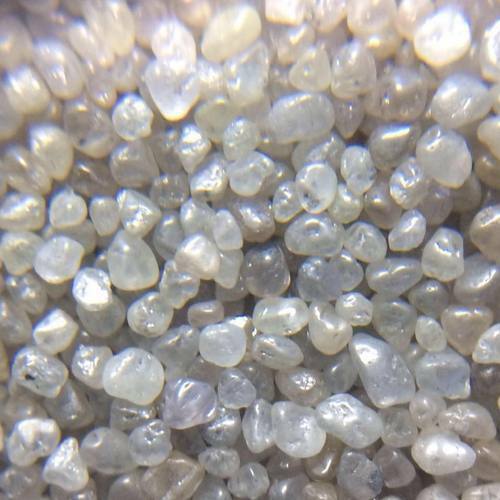 In addition to this, we offer Process Round Diamond, Natural Processed Diamond, Natural Process Round Diamond, Process Diamond, Process Stick Diamond, Process Round Diamond Powder, Natural Process Crystal Diamond, Process Round Diamond, Process Stick Diamond, Elongated Process Stick Diamond, Single Point Diamond, Synthetic Natural Diamond, to name a few. The diamonds and powder offered by us are processed in mines as per the set industry standards and norms. Owing to their perfect finishing, long lasting shine, excellent thermal conductivity and purity, these products are widely demanded by the clients. Moreover, to maintain the quality of our products, we pack the entire range using qualitative packaging material, which also assures safe transportation. We have appointed a team of skilled and trained professionals, which assists us in carrying out all our business related activities in a streamlined manner. These professionals also hold vast experience in this domain, which helps us in manufacturing our range in compliance with set industry standards and norms. This helps us in gaining the maximum level of satisfaction of our clients. Moreover, we make sure to deliver the products within the committed period of time. For this, we have established a warehousing unit, which is well-connected with various transportation modes assuring timely delivery of our products. Due to all these factors, we have been able to export 40 to 60% of our total production across the Indian Subcontinent, South/West Africa, East Asia, North Europe and North America. Our key customers are R. S. Engineering, Dynamic Abrasive and Sapphire Industries.